Rust is generally made up of iron oxide which is metal exposed to water. The bottom of furniture is commonly covered in metal. 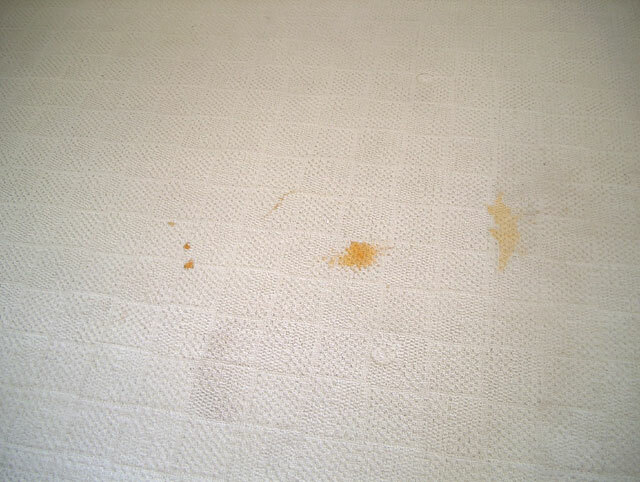 If a drink or other water source is in contact for a period of time, rust will form. 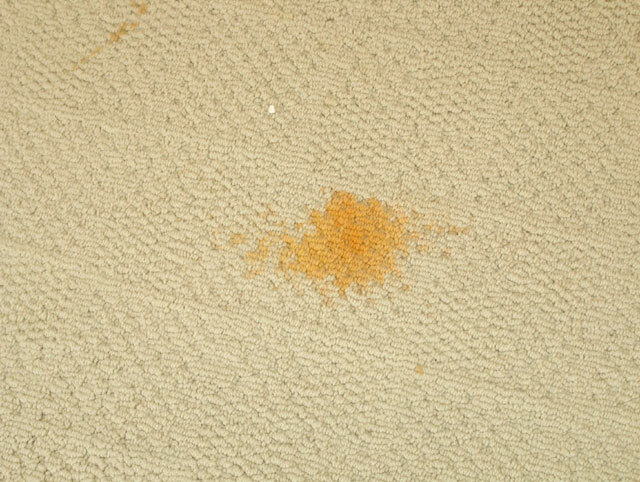 Refrigerators, air conditioners, water heaters, metal legs of furniture will all cause rust on carpets. 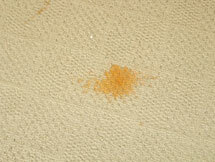 It will then bond to the carpet making it difficult to remove.